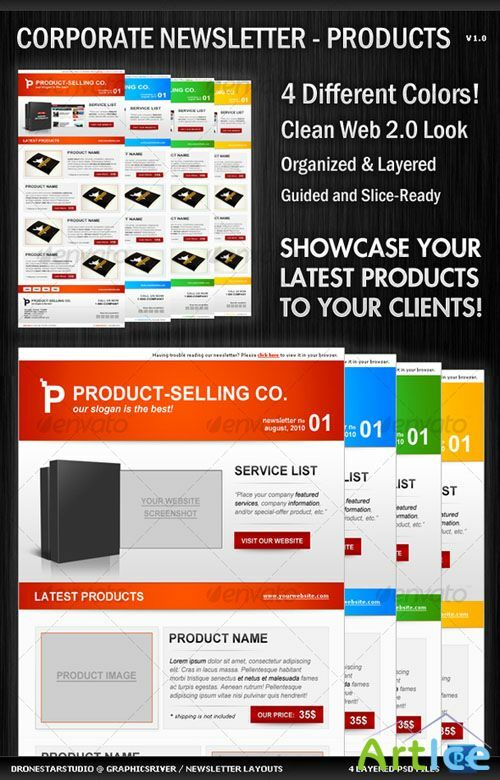 This is Clean and Web 2.0 Friendly PSD Newsletter Layout ideal for showcasing your products, services, etc. Also great for E-Mail Marketing and similar. It’s very easy to edit – Just change fonts, colors and pictures. (or refer to the Help file, which is provided in the separate zip file). ThemeForest - Versatile Newsletter 3 - automated layout creator!